Earn an up-front fee plus a free product sample worth approximately $19 for promoting this brand. You'll also receive a free product sample worth approximately $19, and a personal discount code for your readers. As you promote campaigns and drive referrals, your Influence Score and pay rate will increase. Create a post about Homgeek on your blog and promote this exclusive deal. Create a YouTube video about Homgeek and promote this exclusive deal. Create an Instagram post about Homgeek and promote this exclusive deal. Promote your blog post or YouTube video or Instagram post, or promote Homgeek on two of your social channels. Our gooseneck kettle gives you a slow, controlled and precise flow of water that is optimal for extracting the most flavor when you brew coffee or tea using the pour-over method. Expert coffee enthusiasts believe the right temperature for brewing coffee is between 195 to 205 degrees Fahrenheit. This coffee kettle equipped with a thermometer for measuring the temperature to optimize the best taste for your favorite coffee beans. 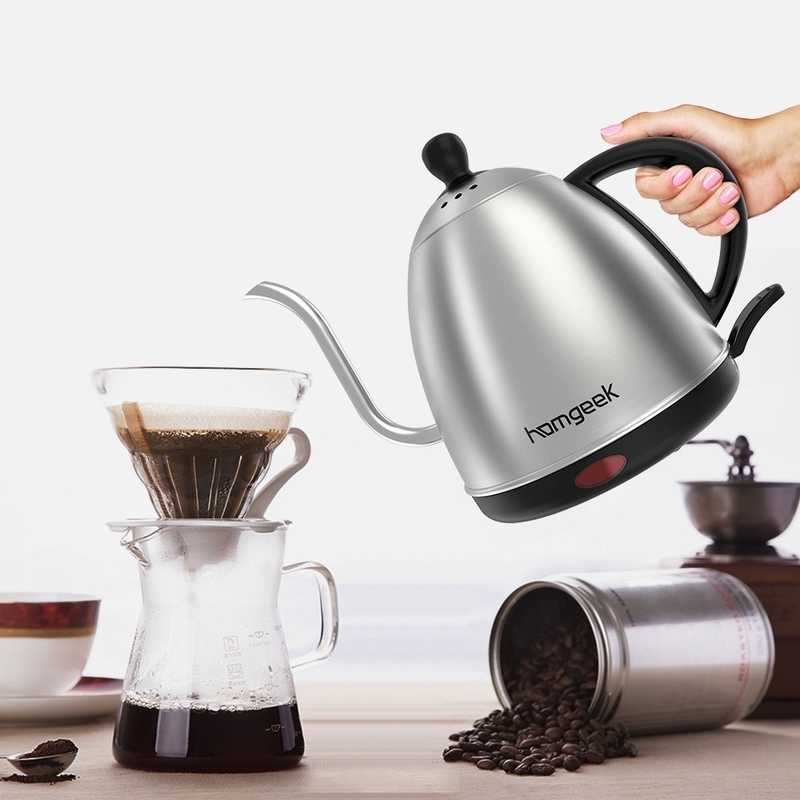 This homgeek kettle is made of high quality stainless steel, the ergonomic handle is specially designed for a comfortable fit, It has fast water heating with automatic shut-off, all it takes is one touch of a button for boiling water. The drip kettle can holds up to 1 Liter or 34 oz coffee or tea, enough for 5 persons at a time. Just do the regular promote. Thank you so much. Free product sample: For great pour over coffee, you need a quality kettle with a gooseneck spout for precise water flow. Post requirements: Roundups allowed - Your blog post or YouTube video may mention or review Homgeek alongside other brands (e.g. how-to, roundup, review of multiple products).